If you now own a foreclosed property in Miami-Dade County, compliance with Ordiance #08-133 is both compulsory and complicated. You need to obtain all necessary Certificate Of Use inspections, work through the review board process and file all required reports to the proper authorities. But you have just arrived at the solution. COU Of Miami is the premier specialist in Certificate Of Use inspections and all related work. From your initial COU (sometimes called CU) request, to the completion of your COU and Disclosure of Findings report, COU Of Miami is the established leader in the field of helping property owners get legal usage of their properties. We can make that claim with confidence because we've executed over 4,000 Certificates Of Use just since 2009. Our team of engineers, architects, draftsmen and other experienced professionals make it their job and their pride to oversee the Certificate Of Use inspections, conduct required reviews, analysis your property's particular circumstances to aid the process, and then make sure the right paperwork gets into the right hands - so you can get in to your rightfully owned property. With COU Of Miami working on your behalf, the whole process - including all Certificate Of Use inspections - can be satisfactorily compieted in five days or less, depending upon the review board's schedule. Fast...simple...experienced. Plus, because of our exclusive on-line software which lets you stay on top of your Certificate Of Use inspections and other steps along the way, COU Of Miami is the convenient and affordable option. 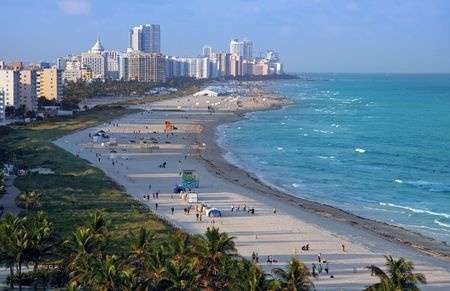 We serve the entire City of Miami and all of Miami-Dade County, doing Certificate Of Use inspections of homes and commercial spaces located in both unincorporated and incorporated areas, including North Miami Beach, Doral, Opa-locka, Hialeah Gardens, Homestead, Medley, North Miami, South Miami, West Miami and Miami Gardens. Please call us at 305-807-8771 so we can get down to work for you. We do your Certificate Of Use inspections correctly, the way the City of Miami and Miami-Dade County want to see them, so that you get into your property sooner.